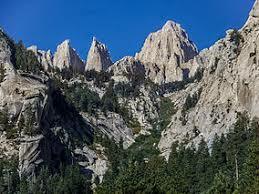 I have a fantasy kingdom set up where the landscape is mostly mountainous with rock and pine forests, like the picture below. As such, it is quite difficult to have agriculture. One plant which can grow there is gorse (which can grow almost anywhere). Could a gorse bush provide for food? The Tips of fresh growth contain vitamin C and other nutrients and can be used to make a refreshing tea, the flowers (available during the winter) are similarly suitable for tea. References indicate that both can be pickled in vinegar and kept for long periods. 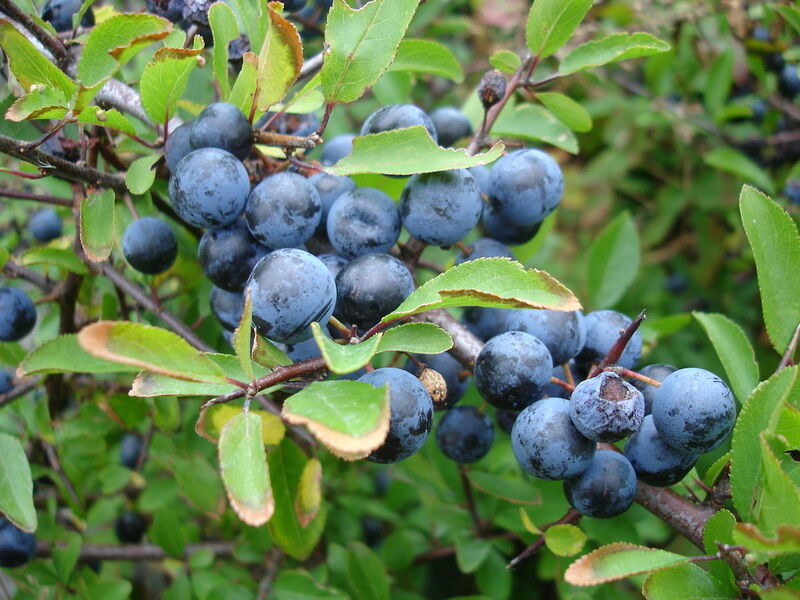 A poisonous alkaloid it contains can be taken in moderate quantities, but don't eat too many in one sitting though. Both sheep and goats are used in various parts of the world to control gorse growth, goats being hardier and more suited to mountain terraine can live off gorse at a density of 35 individuals per hectaire (10,000 sq metres). They would provide your peoples with milk/cheese, meat, tools (horn/bone/glue/lighting from the fat) and dung for fuel for fire/building materials or to fertilise suitable patches of rock for herbs. Goatskin and leather for clothing/bedding, and stomachs as storage bags. 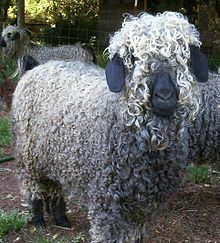 Fine quality thread, woven or knitted hair, as from the Cashmere or Mohair goats would present a very valuable trading resource for metal tools, medicines or alternative foods for variety. Don't neglect the importance to your people of beer that can be brewed from the milk (Koumiss). it can be used as a windbreak hedge in the most exposed positions, making an impenetrable barrier with its vicious thorns. 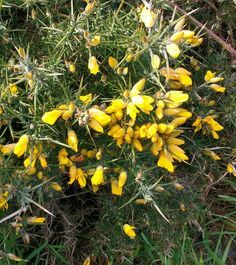 Gorse contains terpenes - these highly flammable aromatic compounds have antiseptic qualities and can be used for starting fires, treating wounds. The wood ash can be used for making a lye for making soap, the flowers as a natural dye. The seed can be soaked in water and used as a wash potent against fleas. The thorns, well perhaps your people have a passtime of playing darts. I grew up with gorse, and though yes, it's pokey, picky and unpleasant to try to move through quickly (especially if it grows thickly as it does on the cliffs of the island of my birth) part of the selective pressures making the resinous outer coating and the sharp spine-like leaves such an advantage is that the actual tissue of gorse is both liquid and nutrient rich... had it not those defences, it would get decimated by any grazers in its locale. Which is why goats do very well with it - their mouths are tougher than many other ungulates, so they just... chomp right on through. Admittedly, even they have to be somewhat careful, but they eat gorse and sloe bushes too, which are equally hardy and even pokier! That said, you should research specific species of gorse for your chosen conditions, as the one I'm the most familiar with (Ulex Europeaus) wouldn't do well on a higher than Tibetan plateau - though it would handle the inherent drought conditions well, and the bright sunlight, and gravelly nutritionally-poor soil as well, it doesn't handle harsh cold winters well - this is intrinsic to many plants which retain moisture via resinous coverings - they can't afford to freeze as there's just so much cell damage done when the plant's tissues retain that much water. Collecting gorse is not called "farming". It's called "gathering" or "herding." Unfortunately, gathering doesn't provide much agricultural surplus. Your kingdoms's population will be low due to dearth of food, and will be spread widely. Herds of sheep or goats may need to range widely to gather enough sustenance. Hunting parties to bring in wild meat will be very popular...as will livestock theft. Lack of specific dietary nutrients (like Vitamin C) will stunt growth and cause early death. Your land will have some villages, but few towns. Low population and tough terrain means few roads. Your folks will spend most of their time fending off starvation instead of amassing wealth, going upon quests, or pondering the mysteries. The well-fed goats, however, will provide plenty of milk and cheese. Not the answer you're looking for? Browse other questions tagged flora food agriculture or ask your own question. What kind of food would be common in a culture that tries to avoid fire as much as possible? What Plants To Grow In Space?